We’ve been in the rope access industry for over 20 years. In that time we’ve encountered many difficult jobs, in many difficult locations. So much so that we’ve developed a Magnet System to give us the perfect solution for these types of situations. We also wanted it to be robust enough so it can be used over and over again. We believe this Magnet System will pay for itself with multiple savings across many jobs. This is why we’ve chosen high spec materials for its construction. We could’ve gone with cheaper construction materials and put out a low-quality item. But, this isn’t what Abfad is about. 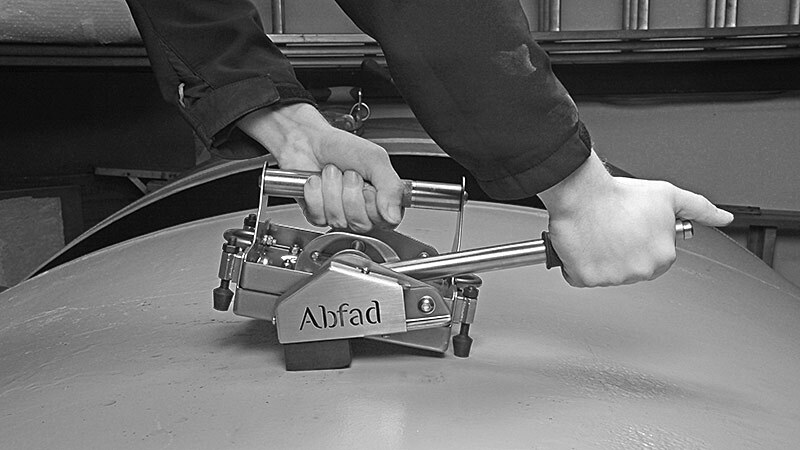 Abfad has a reputation for high standards and quality. We didn’t want to compromise on this in anyway and release an inferior product. A shipyard asked us to coat the hull of a large ship using rope access. The overhang and angle of the bow and the stern looked to be a major problem. We considered different methods of how to do this, all turned out expensive. In the end, we decided the best way would be on the ropes with the aid of some kind of magnet system for positioning. Luckily, we already had a system in development. The idea is to hold the rope access technician in place close to the hull. Allowing them to perform the coating work. Still attached to the ropes and anchored to the deck above. This would provide a very important lifeline for our personnel. The operation was a big success. In the following years, we made significant improvements to the Magnet System. Both in the way it looks and its operation. Making it better than ever. Today, our Magnetic Positioning Aid is constructed of 316L stainless steel. It’s robust enough for the harsh environments we encounter in this industry. 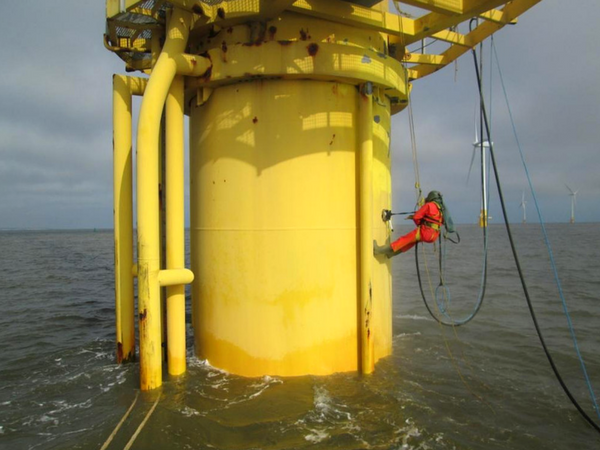 It can also be used in both offshore and onshore environments. We get them manufactured here in the UK to the highest specifications. The Magnet System pulling force is over 355kgs. Keeping you secure in position and allowing you to carry out your work with confidence. Each device is tested when manufactured to ensure pulling force meets the standard. The test is carried out on 50mm thick steel plate. The Magnet System was also tested by the TWI (The Welding Institute). Why do we use the best grade materials and manufacturing? Well, we want this to be a quality item that will last you for a long time. And they will do if looked after, allowing you to use them for many jobs. Our rope access Magnet System can become a useful part of your standard kit. Paying for themselves many times over and saving you money over alternative positioning methods. Calibration of the device is not necessary as the magnet unit is permanently magnetised. You can be confident it will not lose power (unless dropped or mistreated of course). It’s true, our Magnet System has incredible holding power. This doesn’t mean it’s a method of life support for people. It’s not designed that way. It’s designed to be a positioning aid only. Enabling rope access technicians to maintain a stable position during work activities. Life support equipment and methods must always be used during any work at height activities as set out by IRATA or equivalent. Newton’s third law of motion states “for every action, there is an equal and opposite reaction”. I’m sure you’ll know how much this law comes into play when you are trying to perform certain activities by rope? It can be tricky when you’re trying to perform some activities whilst suspended by a rope. The force applied to the working surface also pushes you off in the opposite direction. This is Newton’s third law of motion in action. Our Magnetic Positioning Aid counteracts Newton’s third law of motion. No need to waste valuable time tying into the surrounding structure. Which is sometimes impossible to do. The Magnet System holds you in place. If you need a new work position, release the lever and move the device to a new position. The system is as simple to use as possible. What other uses can this Magnet System have? Our Magnet System is designed by rope access technicians for rope access technicians. Designed to be a magnetic anchor to position rope access specialists. Providing an advantage to productivity and speed. This allows the user to have greater precision when working. But, we’ve found that our humble positioning aid has many more uses than this, and in many more industries. Particularly, the shipping and marine industry. After all, they’re designed for use in this harsh environment. They’re useful for many activities all around the vessel. 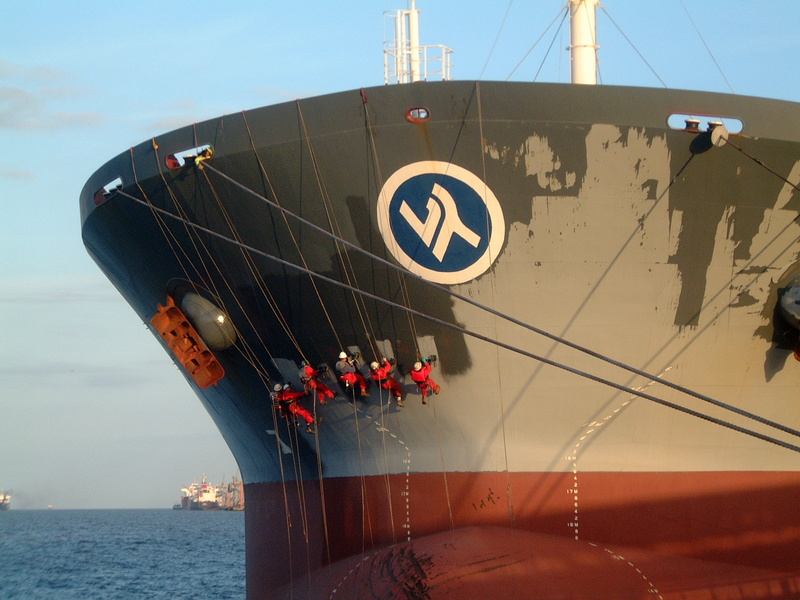 Such as, attaching to other ships, attaching lines to around the vessel, salvage operations and even underwater activities. There are many activities and industries that would benefit from the use of this Magnet System. 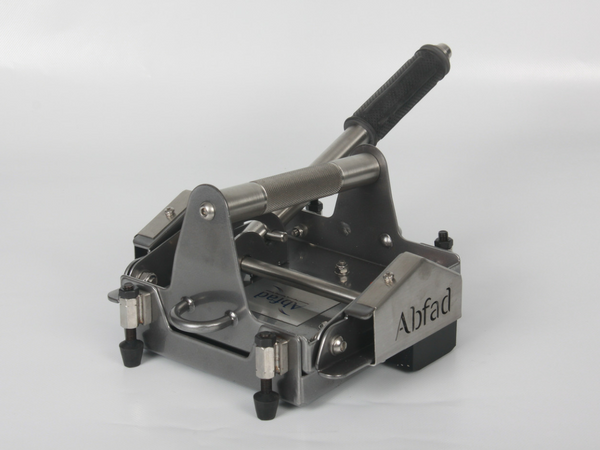 How Can I Purchase Abfad’s Magnet System? You can buy straight from us; send an email to info@abfad.co.uk with your enquiry or quote request. We believe, if looked after, the Magnet System will last you a lifetime.